You can’t build a successful business if your customers, suppliers and employees don’t trust you. Here are seven easy ways to build trust in your business. Have you heard of the famous Stanford marshmallow experiment? In 1960 Walter Mischel, an American psychologist specialising in personality theory and social psychology, put a marshmallow in front of the children and told them not to eat it until he returned in 20 minutes. The reward for their patience would be a second marshmallow. However, if they succumbed and ate the marshmallow before he returned, they’d only get that one. Some children ate the marshmallow almost immediately after the researcher left the room. While others waited patiently and earned their second marshmallow. 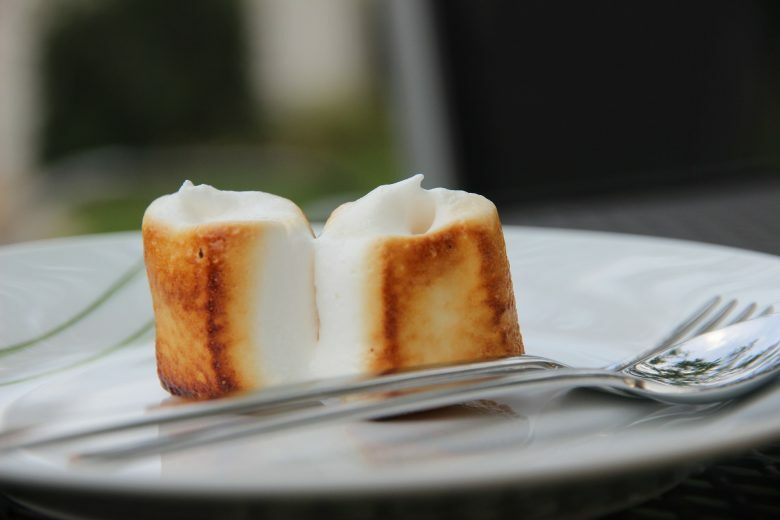 14 years later, researchers discovered that the children who waited for the second marshmallow had grown into more reliable, self-confident and self-reliant adults than those who ate the marshmallow right away. What does this have to do with building trust in your business you may wonder? Well, the experiment had a drawback: what if the children simply did not believe that they would get another marshmallow? What if they were cheated before? You see, trust is essential to succeed in life. But it’s also fragile, and can be broken with just one deception. So if you want customers to trust you when you make a promise like, “Come back tomorrow and I’ll have what you need in stock,” or employees to believe you when you say “I can’t afford to give you a pay rise now, but when we land that new contract I’ll do it then”, you need to earn that trust. And to help you, here are seven ways you can do so. Once you’ve made a promise in business, keep it. And don’t do it begrudgingly, nor expect gratitude (or anything) in return. Instead do it willingly, with grace. For this reason, be careful what you promise people! Don’t make promises you can’t, or won’t want to keep. This counts as much for the people you work with, or clients you speak to, as the promises you make on your website to potential customers. So if you say to a client or customer that they can have their product or completed service by next Monday, make sure that’s feasible before you promise. And if you do make a rash promise, and find yourself working through the weekend to meet it, don’t make your client or customer feel bad about it. Equally, if you claim on your website that you can deliver overnight, or have products in stock, make sure that really is true. Lewis Carroll once said: “What I tell you three times is true.” And indeed, studies show that people need to hear something three to five times to believe it. Our psychology is arranged in such a way that we almost never trust the first time. So don’t lose heart if your branding or marketing messages don’t work or stick the first time. Repeat them over and over again if you want them to resonate. As you can imagine, given the last point, a great reputation isn’t born overnight. It may take several months or years of consistent service and messaging before people will know you for the values and products you aspire to. You need to keep plugging away, delivering the best of your business time and time again to build the reputation you want (and deserve). And if the worst happens, and you gain a negative reputation or reviews, don’t ignore it. Take positive actions to repair it. When you share information honestly, it creates a sense of openness and community in your team and your customers. So if you can’t deliver because an order is late, proactively get in touch with your customers and explain why their products or services may be held up. Don’t invent a lie to cover up the situation – people often have an instinct for lies, and there’s always the chance you’ll forget your lie or it will be uncovered. If this happens you won’t just not build trust, you’ll risk losing it. That said, you don’t need to disclose everything! There are always some things in business that you are better off keeping to yourself. Treat your clients and customers as people. Make your business as comfortable as possible for the client. Make sure that all aspects of your product or service create a favourable impression. If a customer doesn’t know what version of ‘you’ they’ll encounter when they call, email or see you – happy, friendly and eager to please ‘you’, or grumpy, silent and begrudging in your service ‘you’ – they may avoid interacting with you altogether! And, as a result taking their business elsewhere. So however you may really be feeling deep down, whether you’ve had a row with your partner that morning or just received some good news, try to be consistent in your mood. Most people hate and will do almost anything to avoid uncertainty, so ensure that it’s not only your products and services that are reassuringly consistent, but your mood too. Are your customers, suppliers or employees scared of you? This may sound an odd question, but we often don’t realise how we come across to others. So while it’s important to maintain a consistent, reliable mood, it’s just as important that consistent mood isn’t scary or grumpy! If you have customers or team members you know well and will be honest, you can ask them how you come across. How do they find you? And what have they heard others say about you? As hard as it is to hear honest appraisals of our behaviour (especially if they’re less than positive), it’s far better to be aware of any shortcomings that may be affecting our business. Over time, with awareness and habit-changing we can learn to be better, more approachable and empathetic leaders. Trust has power! Do your people trust you enough to wait for the second marshmallow? Lucy Adams is an aspiring blogger and buzz essay writer. She’s a generalist able to cope with a huge variety of topics, from business and marketing to psychology and self-development. Lucy is always happy to collaborate with open-hearted bloggers.